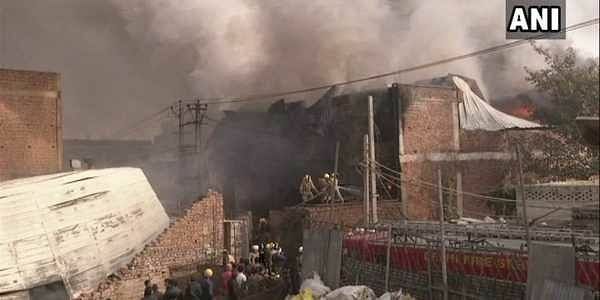 NEW DELHI: A major fire broke out in a godown in Mundka on Thursday. No casualty has been reported. A waste godown caught fire at Mundka Swaran Park on Thursday morning. Thirty fire tenders were at the spot to douse the fire. Two firemen have sustained minor injuries. Further details in this regard are awaited.